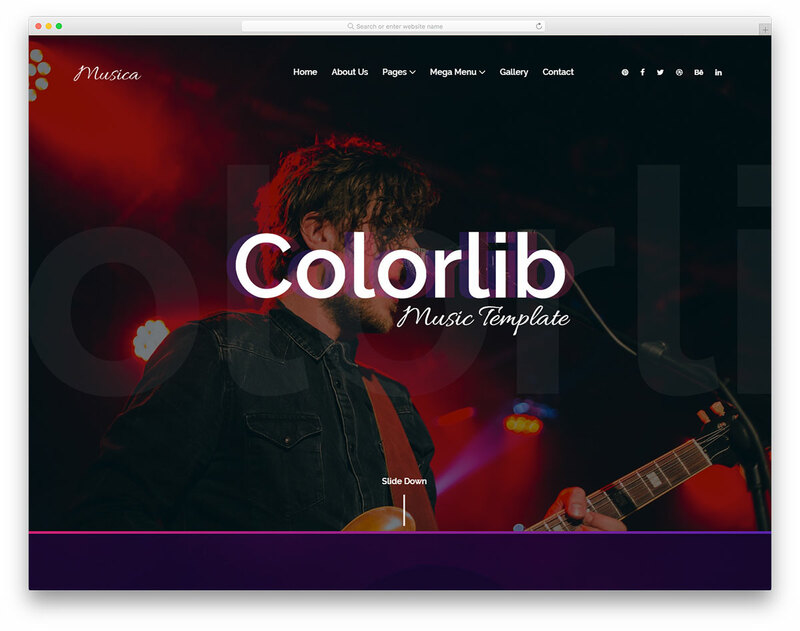 Hence the name, One Music is the best free band website template which you can use for all sorts of music projects of your own. 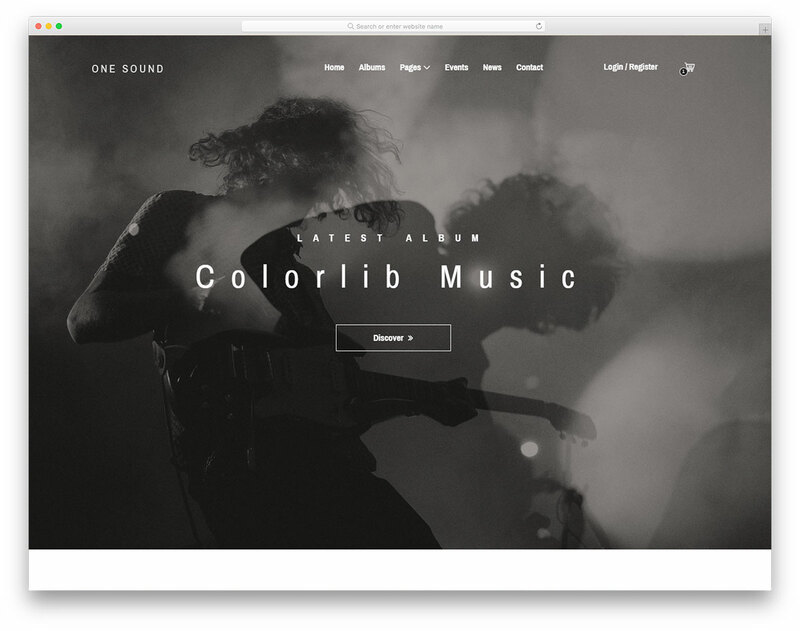 Along with covering band sites, you can also be a solo artist or even a small agency and enjoy the benefits of the amazing One Music. 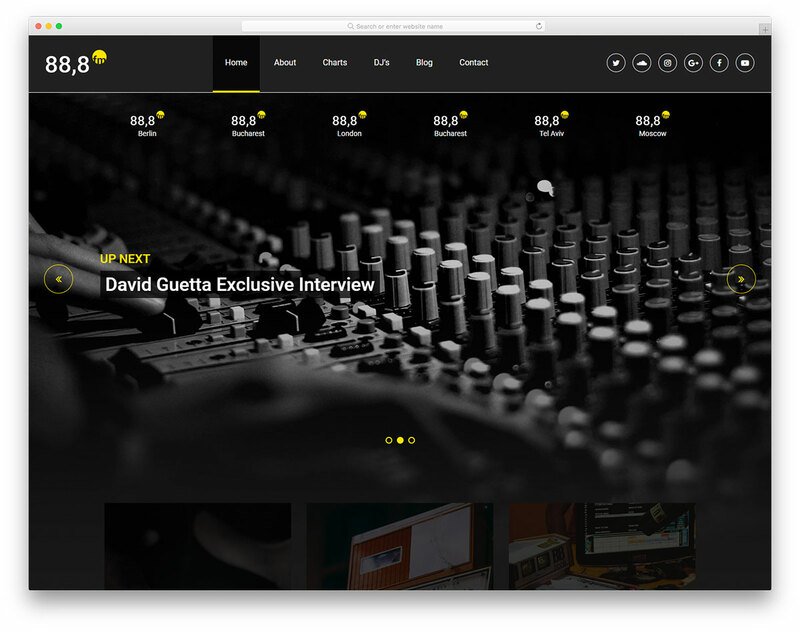 It is an HTML website template, fully responsive, flexible, SEO optimized and cross-browser compatible. 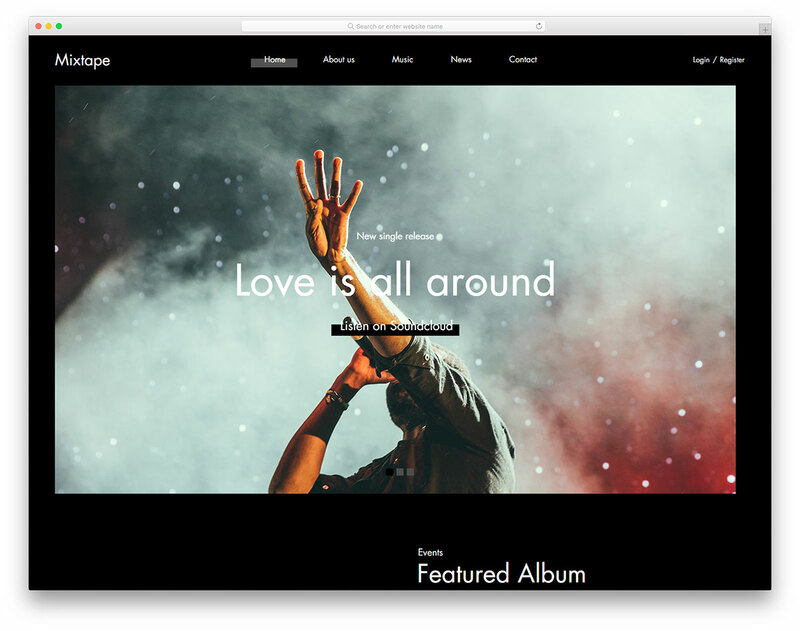 One Music has a modern web design with a zoom-in slideshow, loads content on the scroll and includes an audio player. 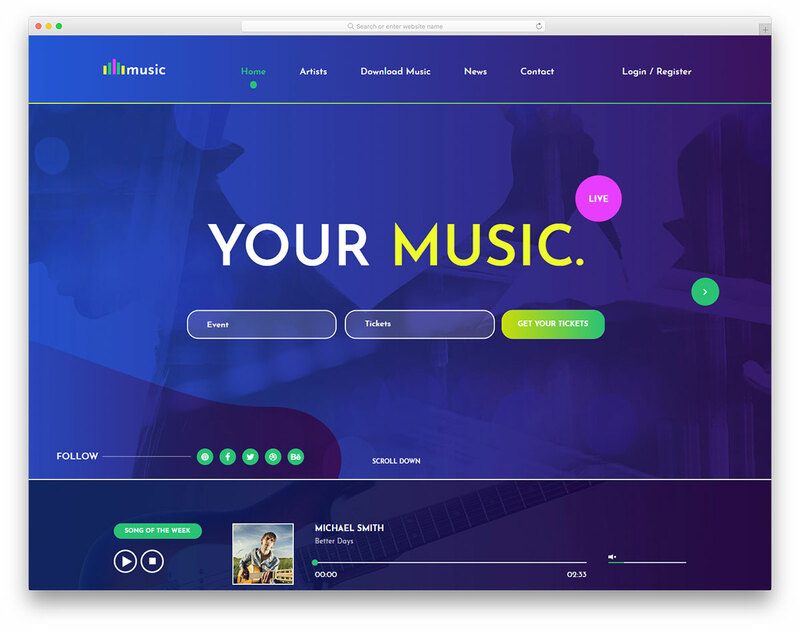 Push your latest songs and greatest hits of all time and market your current albums, as well as your complete discography. 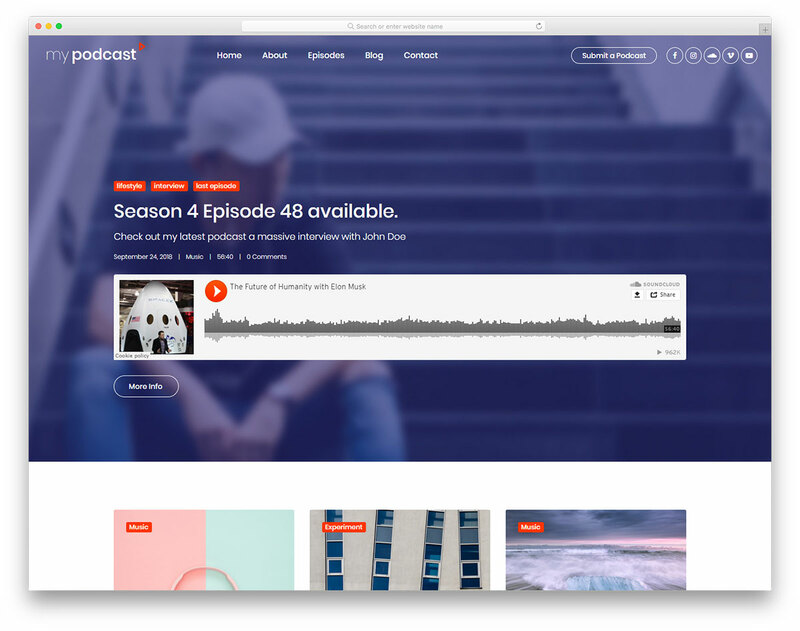 Running a solid web presence with One Music is easy. 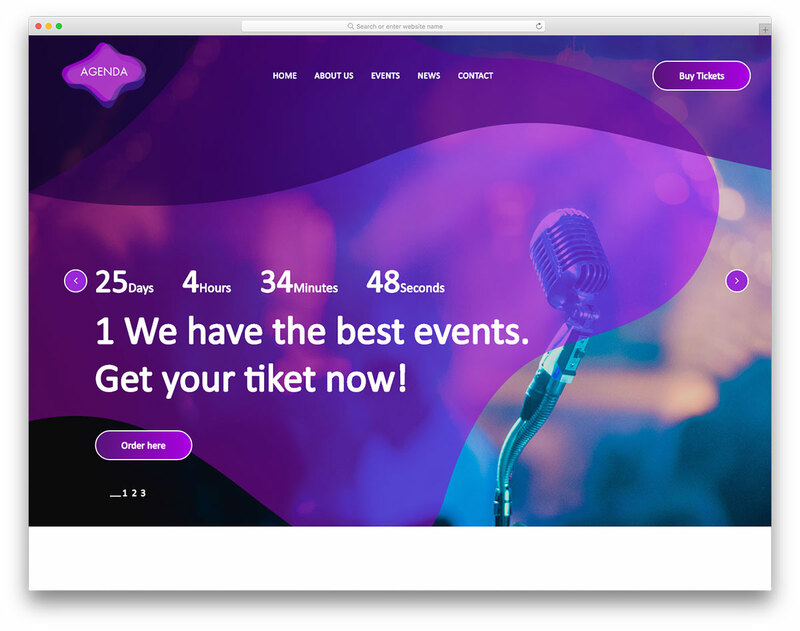 Attract new fans and let them get familiar with your tunes and who you are, list your forthcoming gigs and capture their emails with the integrated newsletter subscription widget.